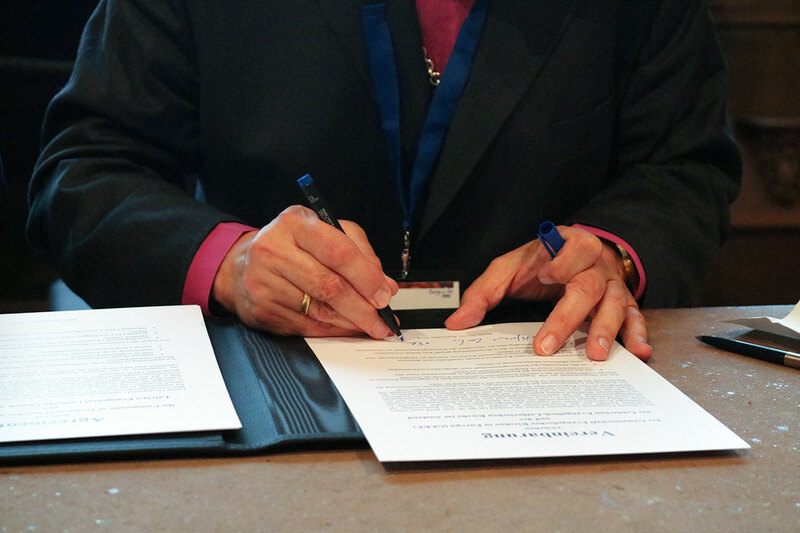 The General Assembly of the Community of Protestant Churches in Europe has welcomed the Latvian Evangelical Lutheran Church Abroad (LELCA) as the 108th signatory church to the Leuenberg Agreement into its midst. This bestows the LELCA with the right to attend and vote at the General Assembly, which former Archbishop Elmars Ernsts Rozitis is exercising as its delegate in Basle. Following written notification of the conditions for membership in the CPCE, at a leaders’ meeting in Riga in June 2018 the LELCA confirmed its concurrence with the Leuenberg Agreement and applied to be admitted to the CPCE. In its letter of application, the LELCA explains its intent to reinforce its good relationship with the United Methodist Church in Latvia and broaden the church communion that already exists with numerous member churches of the CPCE via their membership in the Lutheran World Federation to the other churches in the CPCE. It also confirms that the results of the doctrinal conversations conducted since 1973 present no obstacle to its membership and asserts its willingness to participate in a regional group of the CPCE. The church came about from various waves of emigration in response to the Soviet occupation of the Baltic region. The headquarters of the LELCA is traditionally sited where the incumbent Archbishop resides. After 21 years of this being in Germany, it is currently Greendale, Wisconsin, in the United States, the home of Archbishop Lauma Zusevics. The LELCA is well networked in Europe via its travelling and missionary activities and its resident representatives, for instance in Belgium, Germany, Ireland, Sweden and the UK. In 2016, the church founded a priory in Latvia with several parishes, thus reinstating it in its homeland. The formal procedure for admitting the LELCA was sealed by unanimous resolution of the Council of the CPCE in advance of the General Assembly, therewith granting the church the right to participate in the General Assembly in Basle. This once again brings the number of member churches in the CPCE to 94 (the discrepancy with the number of signatory churches arising from various alliances).